Social media offers tremendous opportunities for digital marketing – if done properly. It’s very important for digital marketers to really focus on who their target audience is, and to choose the right social media platform to target that audience. Facebook is still King of social media, however 41% of Facebook users are over the age of 65, which makes it the ideal social media platform for businesses marketing to a senior demographic. Facebook is also great for B2C targeting due to its massive audience. Instagram users consists of a younger audience, with most of its users being under 30. Instagram offers digital marketers the ability to present ads directly to the most used device in the world – the mobile phone. Instagram loves promoting branded content and products so it’s the perfect platform for businesses with an e-commerce channel to sell more products online. Twitter is a way of humanising businesses, it allows businesses to open an instant dialogue with their customers, making it an effective customer service channel with limitless engaging capabilities. Twitter also has a low cost-per-click and offers a cost effective way to improve your brand awareness. LinkedIn is the world’s largest professional network and the boss of B2B marketing. It offers opportunities to engage directly with your target audience, and allows you to segment your target audience by industry and job title. Use LinkedIn advertising correctly, and your business will start generating leads from the B2B social media platform. What’s the first thing you do when you don’t know the answer to a question, or want to settle a debate with someone… “Google it”. Google Ads (formerly known as Google AdWords) is the most popular form of digital marketing advertising. Your ads are being presented on the biggest search engine in the world, its search network partners and its audience. 2019 will be an interesting year for Google Ads, automation is here and Google is offering responsive search ads using Google artificial intelligence (AI), which is set to revolutionise pay-per-click (PPC) campaigns. If you use Google Ads to its full potential, it will result in higher profits for your business which you can easily track and measure. A chatbot is a computer program or an artificial intelligent system that is programmed to engage with users on a business’ website or a mobile app. You can implement a chatbot onto your website and program it to answer frequently asked questions about your products or services, just as a human would do. You can also troubleshoot the most common user questions on your mobile app. 2019 is definitely the year to consider implementing a chatbot into your digital marketing strategy. There are several different ways to integrate SEO and PPC campaigns. Digital marketers who often do it, see better results from their campaigns. 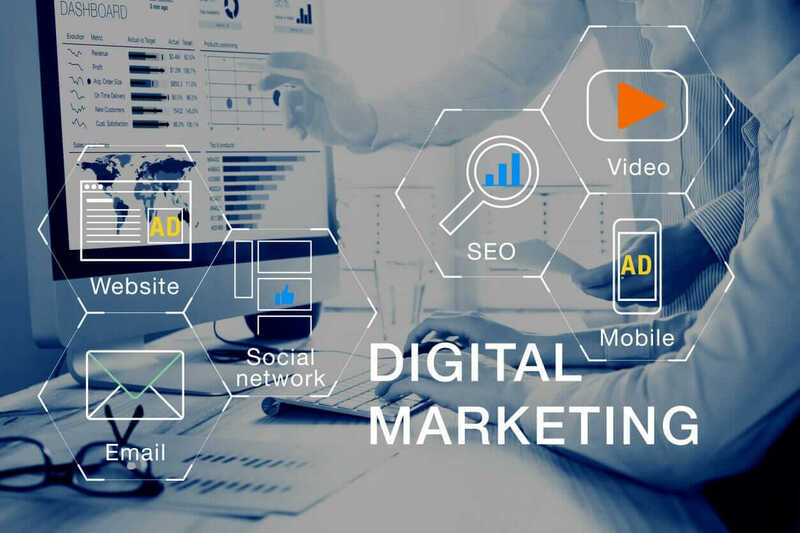 Promoting content as a strategy for digital marketing campaigns is very popular, and will continue to be in 2019. The competition for high quality content constantly increases, as Google algorithms search for high quality content to match search queries made by its users and present them with the most relevant answer. Combining SEO with PPC campaigns in a digital strategy will become more important for the overall success story of a business or a brand. With increasingly huge sales of virtual assistants such as Amazon’s Alexa, Google’s Home and Apple’s Homepod, voice-controlled searches are everywhere and people are searching for businesses and services via voice search. That means that digital marketers should now focus on using longtail phrases as keywords when optimising content for websites or for ad campaigns. Today, people are using smart virtual assistants to order things online for two simple reasons – it’s easier and faster. In order to capitalise on this trend, you should optimise your website for voice search. Did you know that 60% of Google searches are done on a mobile device? Since March 2018, Google now only ranks the mobile version of a website. Web developers are increasing mobile usage by developing more mobile friendly websites. Now marketers are creating marketing strategies aimed at mobile users in order to ensure their content is accessible on mobiles and tablets first. 2019 will be the year of mobile-first optimised content. We’ve written more about this is in more detail in our eBook which you can download for free here. You can capture and convey a lot of information about a business or a brand in a video – if it’s creative and current enough, you could even go viral. According to TechCrunch people watch a staggering one billion hours of video every day on YouTube, so it’s safe to assume that video is a great marketing tool and should be essential for your marketing strategy for 2019. Virtual reality takes customer engagement and interaction to a whole new level. Take IKEA for example, who took advantage of augmented reality (AR), by allowing users to insert 3D product images into a real-life setting. IKEA implemented AR technology into their app so that people could see how a piece of furniture would fit in their home, before even buying it. Expect to see more businesses using VR and AR in their marketing campaigns. There are lots of exciting things to look forward to in 2019 with technology leading the way for marketing. If you need help creating a digital marketing strategy for your business, speak to our team today and see how we can help grow your business and deliver results through digital marketing.